A very natural coyote gland lure made of fresh coyote glands, many collected in January and February during the breeding season. Has a light touch of matrix additives which contain the chemicals naturally found in coyote glands and urine during the breeding season. 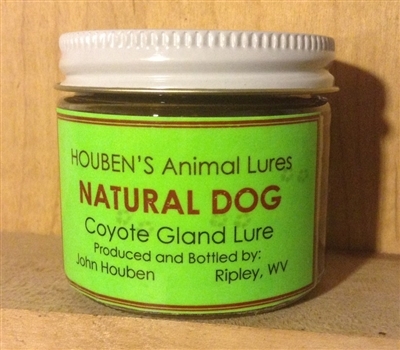 A quality coyote gland lure you can use year round with confidence. 2 ounce bottle.